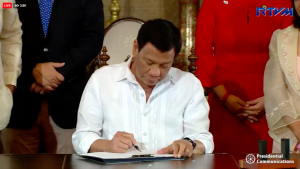 President Rodrigo Duterte on Monday, August 6, signed into law the bill that will establish a national ID system in the Philippines. All Filipino citizens and aliens are required to register in the PhilSys. Individuals born after the law takes effect shall be registered upon birth immediately. 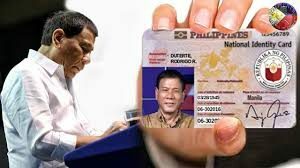 Each registered person in the Philippines will be given a PhilSys Number (PSN) a randomly generated, unique, and permanent identification number. 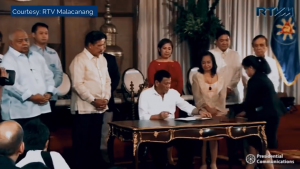 A physical identification card will also be issued which will serve as “official government-issued identification document” that can be used in several transactions that require proof of identification. The PhilID or PSN can be used when dealing with national government agencies, local government units, government-owned or controlled corporations, government financial institutions, and the private sector.